SUSAN River Homestead Adventure Resort was established in 1978 and over the past 39 years has concentrated on giving tourists an experience to remember for all the right reasons. This family-owned and friendly resort also holds weddings, conferences and outdoor horsemanship spectaculars. Over the past two years owners Norm and Angie McLean have found that many of their wonderful long-term clients have turned to camping, caravanning and RVs and many have requested to stay, so to bring them back to the Homestead they have established facilities that will cater to their needs. Camping, caravan and RV sites are available at Susan River Homestead all year round; limited powered sites are available. The resort offers horse riding which is recognised as outstanding by their many return clients and horse lovers worldwide. Enjoy water sports on the resort's own 17-acre lake or use the tennis courts, swimming pool, in-ground Olympic-size trampoline and barbecue area. 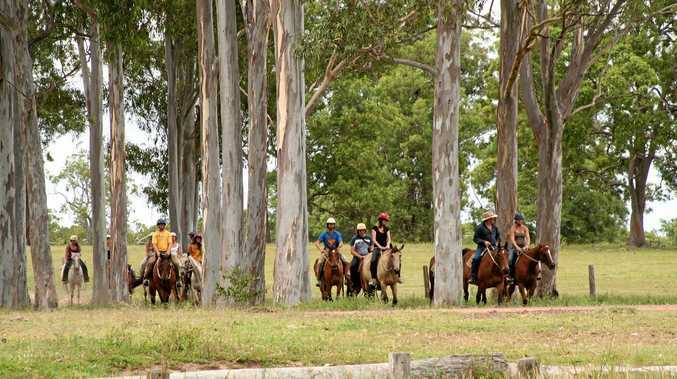 On the property but operated by other entities are a cable wake park, high and low ropes courses, abseiling tower and paint ball facilities, Susan River Homestead, between Hervey Bay and Maryborough, is an adventure lover's dream. On Saturday, July 1, world-renowned Horseman and entertainer Guy McLean will be performing at the resort and all overnight campers will be welcome to head along and watch the performance. This is something that should not be missed.